Home | Fluorine Resin Coating,Special lubrican in Thailand - THAIMETCOAT CO.,LTD. Back to Fact-Link's Top Page > Coating, Coating Material > THAIMETCOAT CO.,LTD. Please leave it if fluororesin coating (Teflon processing)! I struggle with sticking, stuck and slippery problems. I want to slide rubber surface. I want to repel water. I want to protect it from corrosion. I want to make it a low friction surface. I am troubled with the handling of stickies. I want a surface that does not react chemically. I want to improve mold separation. First of all, please check the effect of fluorine resin! It is! The first trial is free. We will reply the delivery date and quotation on that day you inquired. Drawings etc. are required to calculate the surface area. 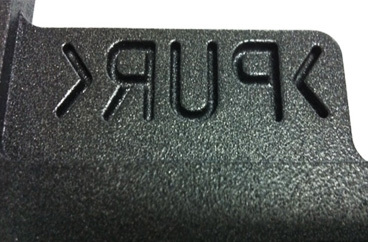 We also accept coatings from one piece, such as prototypes. Since it is equipped with mass production line, it is possible to correspond to the order with large lot number. It is an ultra-speed delivery service when urgent is required, such as prototype of urgent urgent. Finish the product to the specified film thickness. It is the maximum external size of paintable products. 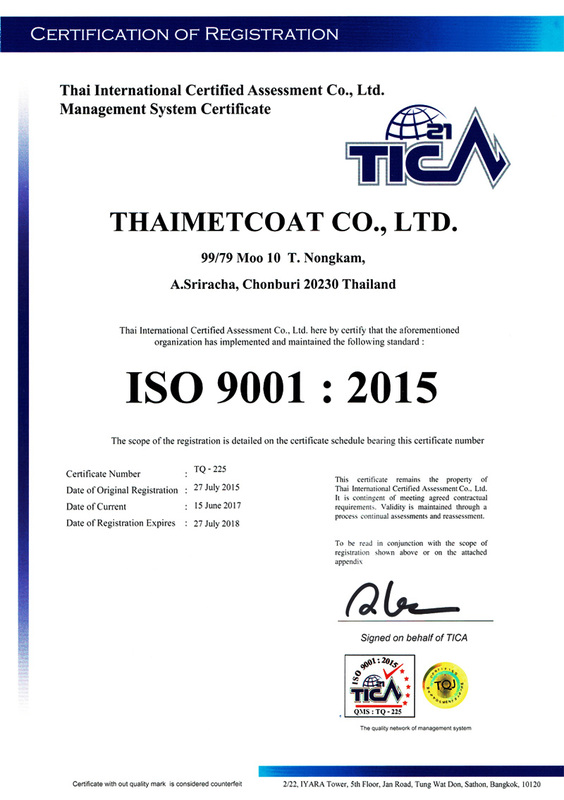 THAIMETCOAT aquired ISO 9001:2015 certification as the International Standard of the quality management system ISO9001 was revised from year 2008 version to 2015. It is un-adhering and low slide coating which have gained popularity very much since the service start. The product use navalon®of OKITSUMO which is manufacturing and selling in Thailand, and corresponding to a visitor's use, the purpose, the material, etc. ​I propose. Moreover, if you can specify, I will order and process any makers' product.